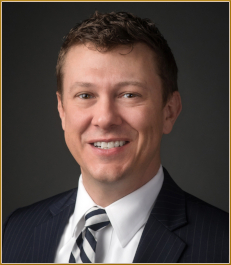 Thomas R. Bowman, a Decatur native, joined Samuels Miller as an associate attorney in September 2016. He was admitted to practice by the Illinois Supreme Court in November 2016. Thomas received his Bachelor of Arts degree from The University of Mississippi (Ole Miss) in 2002, where he majored in Political Science and minored in Russian language. In 2009, he received a Master of Business Administration (Finance) from the Naval Postgraduate School in Monterey, California. Thomas attended the Southern Illinois University School of Law in Carbondale, Illinois where in May 2016 he received his Juris Doctor degree. He was an editor on the Southern Illinois University Law Journal and served as the President of the school’s International Law Society. Thomas’ case commentary, “Conflicts in Withholding Classified Evidence from Criminal Defendants: Looking Beyond Statutory Compliance in United States v. Daoud, 755 F.3d 479 (7th Cir. 2014)” was selected for publication in the Southern Illinois University Law Journal. 42 S. ILL. U.L.J. 99. He also received a number of honors including a law-achievement scholarship and being named to the Dean’s List. Prior to attending law school, Thomas served on active duty as a commissioned officer with the United States Navy. During that career, he served in a variety of sea-duty assignments and shore assignments overseas. Thomas continues to serve with the Navy Reserve as a Lieutenant Commander. Thomas’ civil law practice includes work in the areas of wills, trusts, estate planning, employment law, real estate, commercial law, and litigation. He is a member and current officer of the Central Illinois Estate Planning Council.